How to Set Up Galaxy S8 Active - Learn how to setup Samsung Galaxy S8 Active in manual-tutorials. To set up new Samsung Galaxy S8 Active you able to use the Setup Wizard on your phone and read this user manual. The first time you turn your device on, a Welcome screen is displayed. It guides you through the basics of setting up your device. Follow the prompts to choose a default language, connect to a Wi-Fi® network, set up accounts, choose location services, learn about your device’s features, and more. Your new device uses your Google™ Account to fully utilize its Android™ features. When you turn on your device for the first time, set up your existing Google Account or create a new Google Account. To create a new Google Account or set up your Google Account on your device at any time, use Accounts settings. 2. Tap Settings > Cloud and accounts > Accounts. 3. Tap Add account > Google. When you sign in to a Google Account on your device, Factory Reset Protection is activated. Factory Reset Protection (FRP) prevents other people from using your device if it is reset to factory settings without your permission. For example, if your device is lost or stolen and a factory data reset is performed, only someone with your Google Account username and password can use the device. You will not be able to access the device after a factory data reset if you do not have your Google Account username and password. 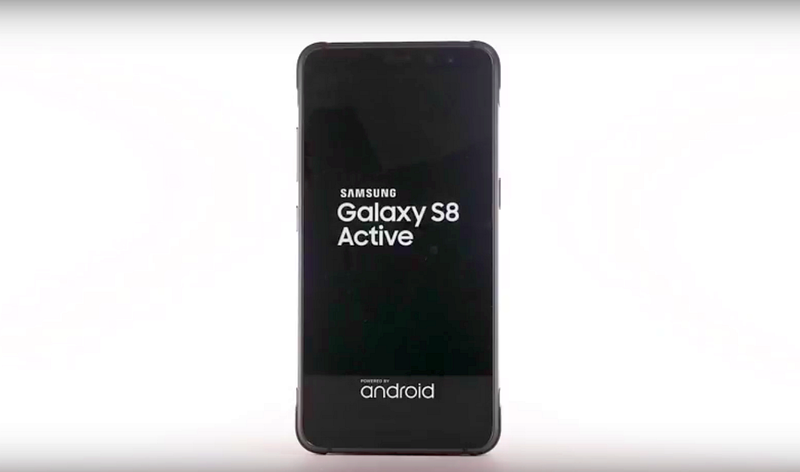 For more information, see How to Factory Data Reset Galaxy S8 Active. Caution: Before shipping your device back to Samsung or taking it to your nearest Samsung-authorized service center, you should remove your Google Account before resetting the device back to factory settings. For more information, visit samsung.com/us/support/frp. Adding a Google Account to your device automatically activates the Factory Reset Protection (FRP) security feature. 2.Tap Settings > Cloud and accounts > Accounts > Google. • If you have more than one Google Account set up on your device, tap the Google Account you want to remove. 3.Tap More options > Remove account. Create a Samsung account for access to Samsung content and apps on your device. When you turn on your device for the first time, set up your existing Samsung account or create a new Samsung account. To create a new Samsung account or set up your Samsung account on your device at any time, use Accounts settings. 2.Tap Settings > Cloud and accounts > Accounts. 3.Tap Add account > Samsung account. Use the Email app to view and manage all your email accounts in one app. When you turn on your device for the first time, set up your existing email account or create a new email account. To create a new email account or set up your email account on your device at any time, use Accounts settings. 3.Tap Add account > Email. Use Smart Switch™ to transfer contacts, photos, and other content from your old device. You can also use the included USB connector to copy content quickly and easily from your old device, without installing the Smart Switch app. Note: The USB option must be set to Media device (MTP) on the other device. Transferring content with a USB cable may increase battery consumption. Make sure your battery is fully charged. 1.Select Smart Switch during setup. 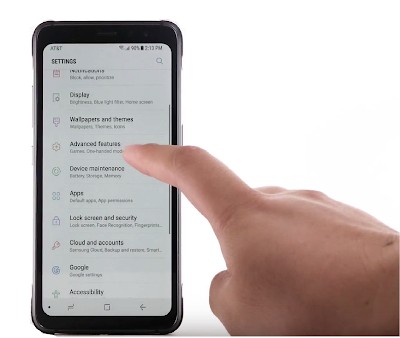 From a Home screen, swipe up to access Apps > Settings > Cloud and accounts > Smart Switch. 2.Follow the prompts and select the content to transfer. You can access your voicemail from a Home screen. 1.From the Home screen, tap Phone > Voicemail. 2.Follow the Samsung Galaxy S8 Active tutorial to create a password, record a greeting, and record your name.